Joseph Henri Hubert van Groenendael, who is also referred to as Hubert van Groenendael and sometimes as Jos. van Groenendael, was born in Nunhem on December the 28th 1868. He was the fourth son of carpenter and builder J. van Groenendael whose firm was first based in Nunhem, later Den Haag and ultimately Hilversum. While his two oldest brothers Jean and Jacques learned the skills of construction and architecture in the firm of their father, Hubert became a student at P.J.H. 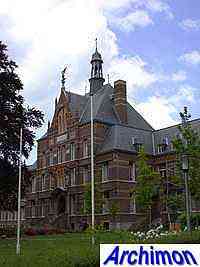 Cuypers' office in Roermond and was, among other projects, involved in the construction of the Maria Magdalenakerk in Amsterdam in 1889-1891. 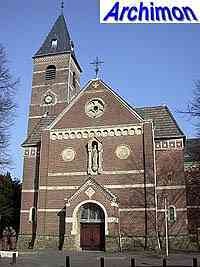 In 1898 he moved to Vught, where he founded the first patronage of Noord-Brabant, a catholic youth center, part of which was a drawing school where he taught the local youth free of charge. 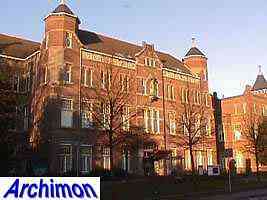 In 1908 he moved to nearby 's-Hertogenbosch, and in 1916 finally settled in Maastricht. Later in his career Van Groenendael cooperated with his son H.F.M. (Hubert jr.) van Groenendael. Until 1913 Van Groenendael mostly worked in Noord-Brabant, after that mostly in Limburg. He has built ca. 33 churches, plus various monasteries and convents, hospitals and schools. Although later in his career he increasingly worked in a neo-Romanesque style, he never completely abandoned neo-Gothic. 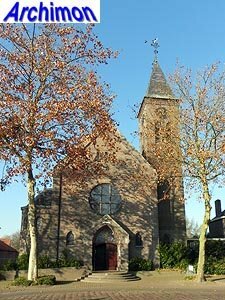 In Noord-Brabant he mostly worked in brick, while in Limburg he also used natural stone. In 1936 the pope knighted Van Groenendael with the Order of St. Sylvester for his social work for the catholic community. Van Groenendael's work is often confused with that of his older brothers J.H. (Jean) van Groenendael (1863-1919, office in Amsterdam) and N.J.H. (Jacques) van Groenendael (1864-1932, office first in Hilversum, later in Breda), who both often worked in a very similar neo-Gothic style. Many of the other brothers' works are often attributed to J.H.H. van Groenendael, even in official publications. Due to the confusion, the following list of J.H.H. van Groenendael's work, emphasizing on his religious buildings, has to be incomplete and may contain a few errors. 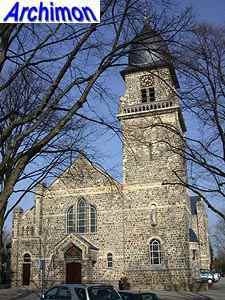 Aisleless church in neo-Gothic style, incorporating the tower of its predecessor. Hubert made the plans for this church on behalf of his father, who largely financed the construction himself. 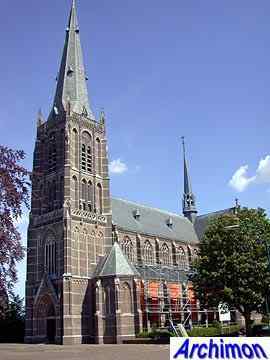 Three-aisled cruciform basilican church inspired by Lower Rhine Gothic. Often regarded as Van Groenendael's best work. Big cruciform basilica in neo-Gothic style. Designed in conjunction with his father J. van Groenendael. Cruciform basilica in neo-Gothic style. Tower probably never more than half finished. Destroyed in 1944. Neo-Gothic three-aisled basilican cruciform church, very similar to the church in Helvoirt. Chapel in combined neo-Gothic and neo-Romanesque styles. 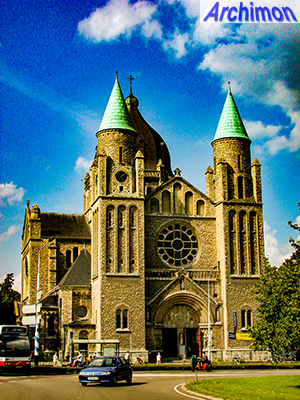 Three-aisled cruciform neo-Gothic church. In 1955-1956 a new western part was built. Demolished in 2009. Late neo-Gothic cruciform basilican church. Tower and front finished 1932. Big monastery-like complex in neo-Gothic style with elements of Jugendstil. Symmetric ground-plan with eperate parts for boys and girls. Convent designed in a combination of Jugendstil and traditional forms, with chapel in neo-Romanesque style. Cruciform basilica in neo-Gothic style. Tower damaged in WW2 and later rebuilt in simplified form. Franciscan convent in sober neo-Gothic style. Cruciform basilica in neo-Gothic style. Largely destroyed in 1944; restored after the war with new transept and tower. 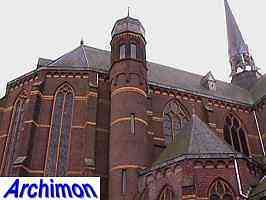 Church in neo-Romanesque style, with two towers at the front and a dome in Baroque-style on the crossing. Built in WW1, mostly using Kunrader stone, but also parts of former fortifications and second rate building materials. 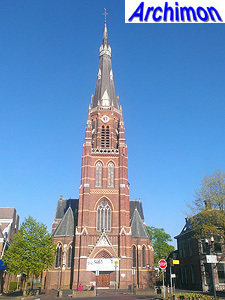 Addition of a transept to an older neo-Gothic church (1871, by C. van Dijk). 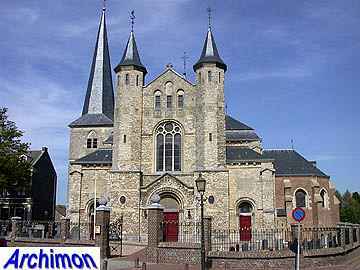 Three-aisled church in neo-Romanesque style. Two towers of different sizes. A steeple on the crossing was removed during repairs in 1954-1958. Church in neo-Romanesque style, based on the St. Lawrence outside the Walls in Rome. Built using Kunraderstone. Now a museum. Transverse enlargement of an older church. 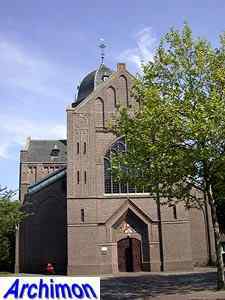 Square on the old nave Van Groenendael builds a new one in neo-Romanesque style, made of natural stone. The medieval tower now stands at the side of the church while the 17th-century choir becomes a chapel. Cruciform church in neo-Romanesque style with double transept and a tower at the side. 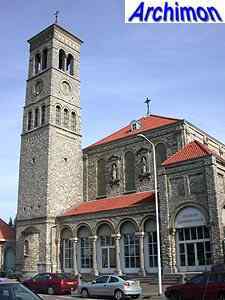 Small church in neo-Romanesque style, with two towers at the front. Demolished in 1971. Modest church in sober late neo-Gothic style. Cruciform basilican church in a combination of neo-Gothic and neo-Romanesque styles. Small crossing-tower. Demolished. Neo-Gothic cruciform basilican church with high transept, octagonal crossing-dome and five-sided choir closure. Designed by or in conjunction with H.F.M. van Groenendael. Cruciform church with neo-Byzantine influences, incorporating a 15th-century tower. Cruciform church with a steeple at the crossing and two towers at the front, built in a mixture of Byzantine and neo-Gothic styles. Choir of kunraderstone for an older church. Three-aisled cruciform church in neo-Romanesque style, built of kunraderstone. Tower at the side of the front, with onion-shaped spire. Pseudo-basilica in neo-Romanesque style, with tower next to the front. Destroyed in 1944. 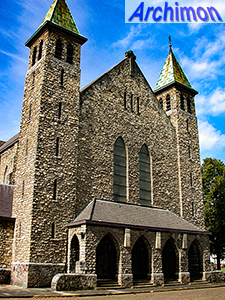 New nave and side-aisles replacing part of J. Kayser's church of 1884. Small aisleless chapel in Traditionalist style. Demolished in 2010. No further details. Served as a church until a new church was built in 1956 and served other purposes since. No further details. 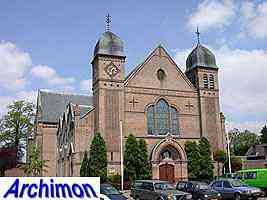 Replaced by new church in 1939-1940 but not demolished. Cruciform basilican church in Traditionalistic style, with freely interpreted Romanesque influences, executed in Kunrader stone. Tall tower at the back of the church, behind the transept and to the left of the choir. Two smaller towers flank the front facade. Designed in conjunction with J.H.H. 's son H.F.M. van Groenendael. 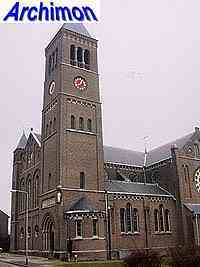 In an earlier design the church had a tall tower at the front. 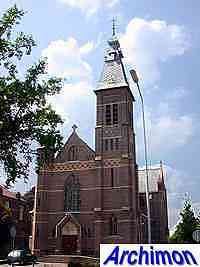 Three-aisled cruciform church in neo-Gothic style. Rose-window added to the facade in 1947, tower added by H.F.M. van Groenendael in 1954.